Thanks to Our Beautiful Brides! 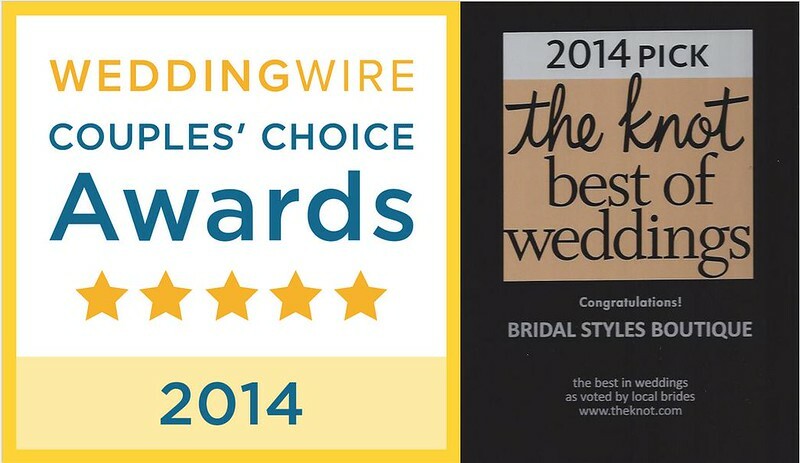 We are honored to have won both the 2014 WeddingWire Bride’s Choice Award and the 2014 The Knot Best of Weddings Award. Thank you to all of our wonderful brides for all the incredible reviews, lovely notes and support! What a fabulous way to start off the year! This entry was posted on Monday, February 10th, 2014 at 9:17 am	and is filed under Announcements. You can follow any responses to this entry through the RSS 2.0 feed. You can skip to the end and leave a response. Pinging is currently not allowed.